Bigger is better! The small mint green dishes were such a hit that Paragraph Loop is pleased to bring you a larger version. Makes a pretty addition to dresser top. Perfect for larger items, bracelets, necklaces or even keys! This wooden plate is 6" in diameter and 3/4" deep, with a shallow ridge. 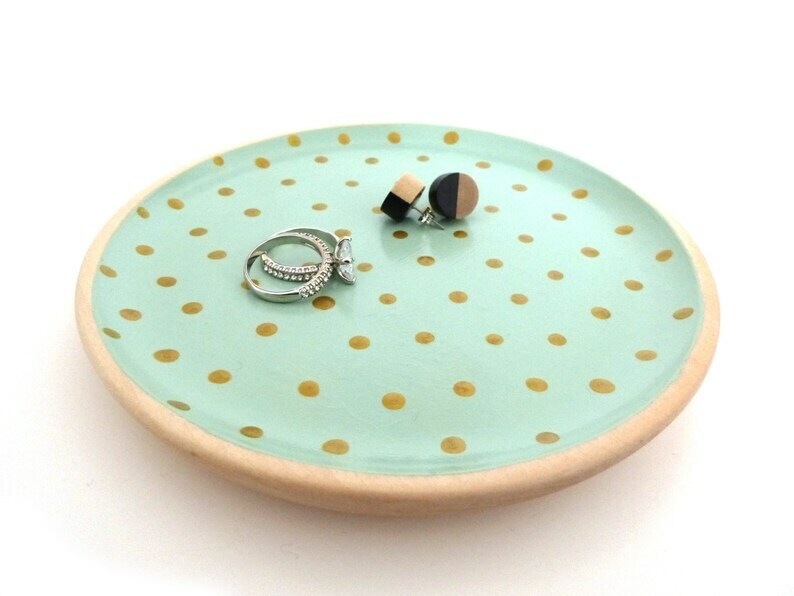 It is handpainted in mint green with metallic gold polka dots. Varnished all over for a durable finish.